While houses for sale on Mississauga Rd. are a sought after commodity, perhaps the pinnacle of Mississauga luxury real estate is Doulton Drive. This is one of Mississauga’s most expensive streets and it and the few streets surrounding it (a quiet enclave situated off Mississauga Rd. just north of the QEW highway) are the ultimate when it comes to luxury real estate in Mississauga. There are actually three streets in the area: Doulton Drive, Doulton Place, and Blythe Road, and together, they comprise the area known as the Doulton Estates. 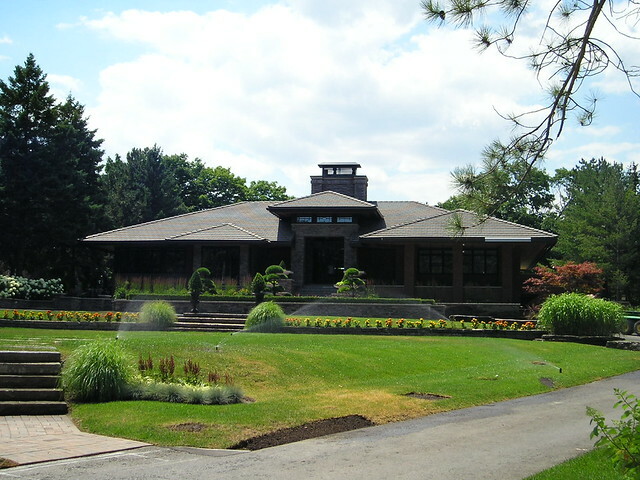 Directly to the north is the Credit River, as well as two golf and country clubs: the Credit Valley Golf and Country Club, and the Mississauga Golf and Country Club. In this area you will find some of the most expensive and exclusive luxury homes in Mississauga, and indeed in all of Canada. Homes in the Doulton Estates are typically situated on massive lots, which can be 2 acres and more, and most are set back far from the road via winding, private driveways. Privacy is at a premium here, and there are wrought iron electric gates everywhere, with large trees providing extra seclusion. Some of the homes are set back so far, as to be barely visible from the street. Luxury and privacy indeed! Doulton Place is a cul-de-sac located at the end of Doulton Drive, and here you will find some of the most impressive properties. Blink your eyes and you could be at a chateau in France. Homes in this area can be from 6000 to 8000, and even 10,000 square feet in living area. In these palatial homes it’s not unusual to find 5 bedrooms, 7 bathrooms, 6 fireplaces, nanny’s quarters, and garage parking for fleets of cars. Some feature over the top amenities such as inhouse elevators, and heated marble floors. Similarities to the Bridle Path area of Toronto are evident. The luxury homes of Doulton Drive feature huge lots in a country club setting. Most of these lots would require a team of gardeners to maintain them. Massive lawns, manicured gardens, tennis courts, indoor and outdoor pools (of course! ), waterfalls – no expense is spared. Many of the homes back onto the Credit River wetlands, providing an extra layer of privacy and exclusivity. There are heavily forested areas along the river and adjacent to the golf and country clubs, providing opportunities for wildlife watching, as well as the ultimate in privacy. Vehicular traffic on these three streets is very low, but Mississauga Road provides easy access to all the amenities of the City of Mississauga, as well as the QEW highway. The latest homes in Doulton Estates are perhaps the most impressive of all. Investing in a custom-built home here allows you to create your ultimate personalized masterpiece. 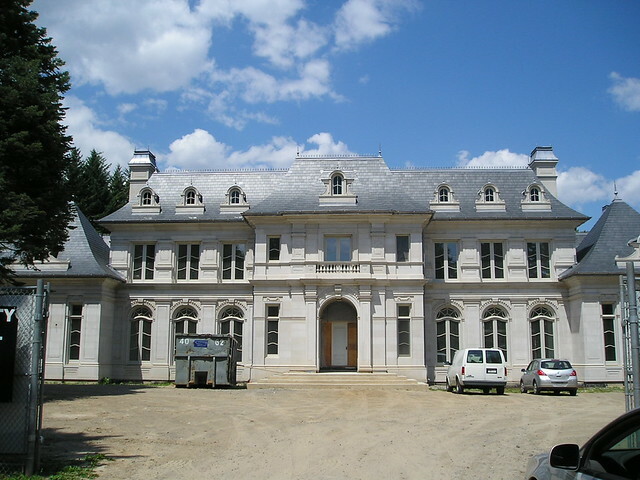 Here is one example of a chateau style mansion currently under construction on Doulton Drive. Photo taken from the courtyard of the estate. So, you are probably wondering – what does it cost to live here, in the epicentre of Mississauga luxury real estate? MLS Mississauga reveals that homes in this area have sold in a range from $2,000,000 dollars up to $10,000,000 dollars. The lower prices were typically for land value only. Turnover in the area is low – there are usually only a handful of properties which come on the market each year. 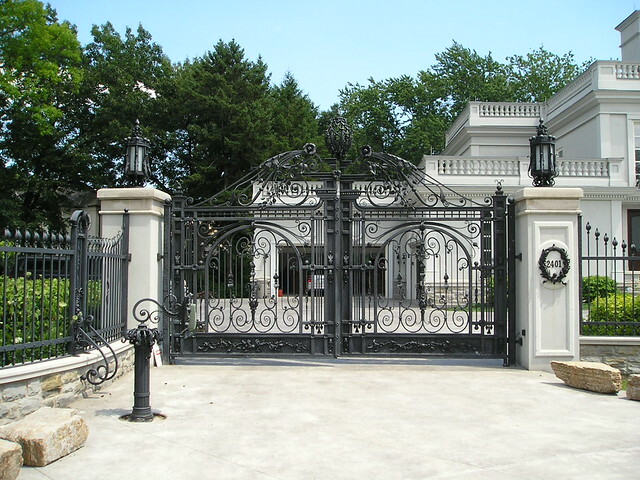 There is no doubt, however, that the Mississauga mansions of Doulton Drive, Doulton Place, and Blythe Road, which together comprise the area known as Doulton Estates, are some of the finest and most expensive luxury homes in Mississauga, equal to any in North America. For those buyers who are looking for the ultimate in luxury lifestyle, Doulton Estates offers the absolute best – among the absolute top tier of luxury real estate possibilities in the Greater Toronto Area. Get all the information on Mississauga’s finest luxury homes, the mansions that comprise the Doulton Drive real estate scene. Try our service, and we believe we will exceed your expectations. The information we provide is at no cost to you, and with no obligation whatsoever.